Bridgeport Mayor Joseph P. Ganim, a Democrat trying to overcome a corruption conviction, and Republican David Stemerman, a hedge fund manager new to politics, each qualified Tuesday for gubernatorial primaries on Aug. 14, giving Democrats at least a two-way contest and guaranteeing the GOP an unprecedented five-way race. The secretary of the state’s office reported Tuesday night that both candidates had submitted valid signatures from at least two percent of the registered voters in their parties, the minimum to petition for a place on a statewide primary ballot. Ganim needed 15,458 and had at least 17,104; Stemerman needed 9,081 and had at least 9,781. Ganim is challenging Ned Lamont, a Greenwich businessman who is the convention-endorsed candidate, for the Democratic nomination. A third Democrat, Guy L. Smith, is awaiting word on his petition drive for the ballot. Smith had one third of the necessary signatures as of Tuesday. 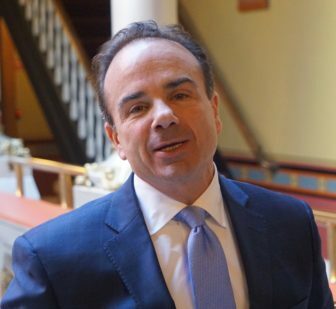 Ganim opened a petition drive before the Democratic convention in May, suspecting he would have trouble convincing delegates of the political viability of a candidate who served seven years in prison and is barred from seeking public financing of his campaign due to his conviction. In a telephone interview Tuesday night, Ganim said he would press Lamont to engage him in a series of debates that would show how different the two men are in their life experiences and political outlooks. “Tomorrow, I’ll be asking for debates as quickly as we can get them going,” Ganim said. Ganim also called on Lamont to voluntarily limit his campaign spending, something Ganim never offered to challengers while he was a mayor facing re-election. Ganim suggested a ceiling of $1.6 million, the limit imposed on participants in the state’s voluntary program of publicly financed campaigns. Marc Bradley, the manager of Lamont’s campaign, said Ganim would get one of his wishes. 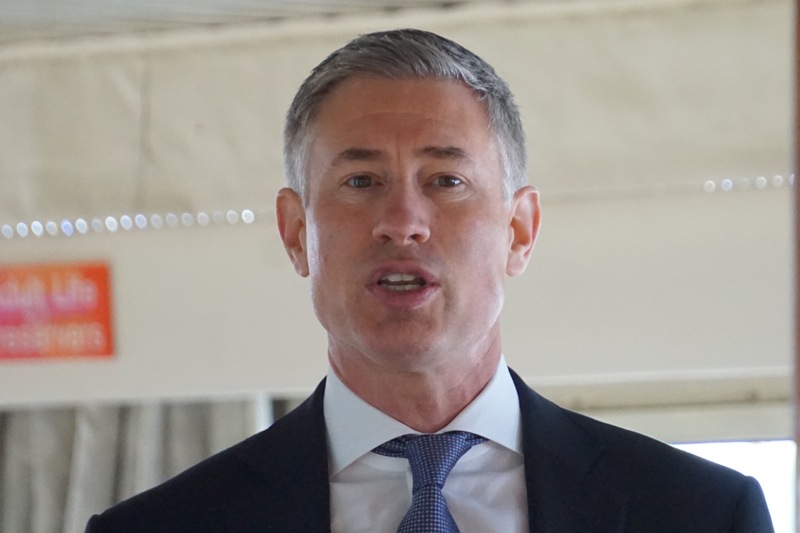 Stemerman rounds out the biggest gubernatorial primary field, joining Danbury Mayor Mark Boughton, who was endorsed at the GOP convention, and Timothy Herbst, Steve Obsitnik and Bob Stefanowski. Herbst and Obsitnik qualified at the convention; Stefanowski’s petitions were deemed sufficient Monday. Candidates had until 4 p.m. on June 12 to submit signatures to local registrars for validation. They had a week to complete their work, and have been periodically forwarding the petition pages to the secretary of the state’s office. The office stops the count once it is assured the two-percent is exceeded.